Out of favour midfielders Bastian Schweinsteiger and Yaya Toure have been offered a chance to escape their Manchester clubs by Ligue 1 champions PSG. Both Schweinsteiger and Toure are out of favour with the two newly appointed managers José Mourinho and Pep Guardiola respectively. Both the midfielders have been cut out from the European competition squads of the Manchester clubs. 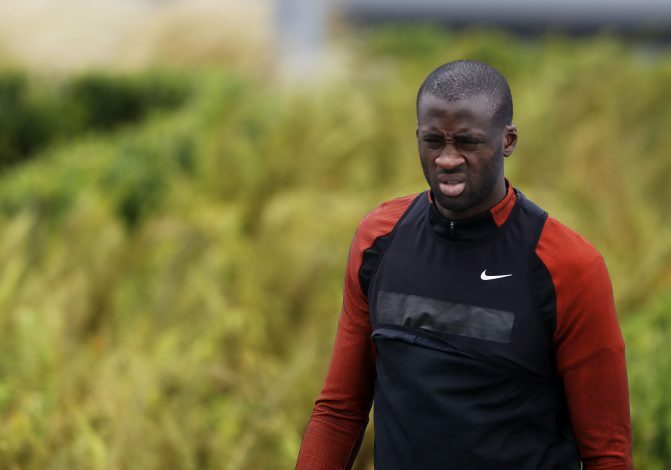 Manchester City manager has said that Yaya Toure will not play again till he apologizes for his agent Dimitri Seluk’s comments. Seluk’s lashed on on Guardiola for his treatment of Toure by stating: “Pep is a great coach. But he has won the title at Barcelona and Bayern Munich. The truth is that my grandfather would win the title with Barcelona and Bayern Munich because they are big clubs with great players. “If he wins the Champions League for City this season then I will travel to England and I will say on television that Pep Guardiola is the best manager in the world. Yaya Toure is one of the highest earners at Manchester City with a £230k-per-week wage. His contract ends in June this year. Schweinsteiger is on an estimated £80,000-a-week basic salary this season, and the club wrote off his £6.7 million valuation in the latest financial accounts, thereby effectively making him available on a free transfer. His contract is set such that his wage falls with every new season, with emphasis being given to appearance based bonuses. According to reports, PSG are willing to offer £1.5m per player in a bid to strengthen their squad in January. The fact that they will not be cup-tied in Europe also swings in PSG’s favour.